FoCus is a wrapper around the standard FORMAT utility. It allows you to customize the FORMAT DSL by adding new directive characters or modifying the standard ones. The semantics of these directive characters is specified in a so-called "format table", a concept very close to that of readtables. FoCus ultimately translates into regular FORMAT calls. 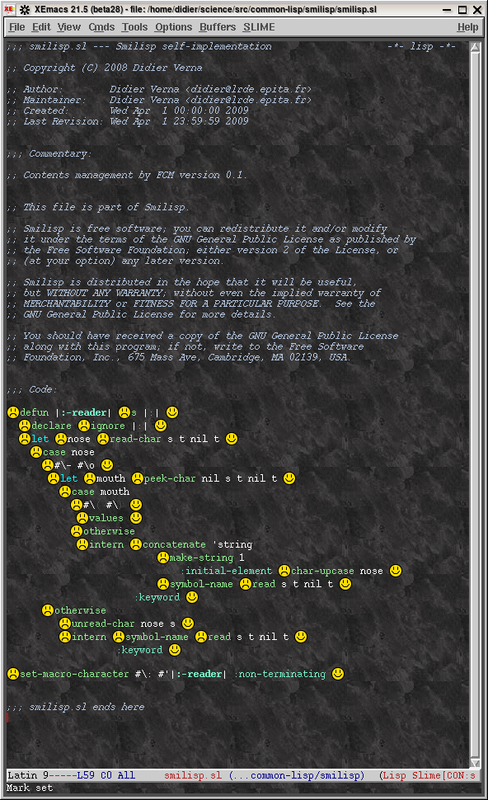 Declt (pronounce dec'let) is a reference manual generator for Common Lisp. It extracts and formats documentation from ASDF systems, including the system itself, its components, the packages defined in the system and an extensive list of definitions (variables, functions etc.). The formatted documentation comes with full indexing and cross-references. Reference manuals are generated in Texinfo format which can subsequently be converted into info, HTML, DVI, PostScript or PDF. Quickref is a global documentation project for Common Lisp libraries. It builds a website containing reference manuals for Quicklisp libraries (either those already installed or the whole thing). The reference manuals are generated by Declt in Texinfo format, and then processed by makeinfo. The official Quickref website is kept up-to-date with Quicklisp. This very small Common Lisp library provides a way to add initialization files to ASDF systems. Every time ASDF loads SYSTEM, a corresponding SYSTEM.lisp file is loaded automatically afterwards. This lets you conditionally plug in additional behavior on a per-system basis without cluttering up any global Common Lisp init file. ASDF-FLV provides support for file-local variables through ASDF. A file-local variable behaves like *PACKAGE* and *READTABLE* with respect to LOAD and COMPILE-FILE: a new binding is created before processing the file, so that any modification to the variable becomes essentially file-local. :o( Smilisp :-) is a new dialect of Lisp featuring a very special paradigm known as "Emotional Programming". When you [S-]express yourself, your mood is not the same at the beginning of your [S-]expression (where you might wonder a bit what you're going to say) and at the end (where you enjoy having said something), and :o( Smilisp :-) reflects that. :o( Smilisp :-) is implemented in (and fully compatible with) Common Lisp. :o( Smilisp :-) can also be implemented in itself. The distribution comes with a portable implementation of the language, a demonstration program (the implementation of the language in itself as a matter of fact), and an [X]Emacs library supporting emotional fontification. We are confident that :o( Smilisp :-) is a major step towards the modernization of Lisp, notably by solving the parenthesis problem, and replacing S-Expressions with E-Expressions (Emotional Expressions). We are also confident that emotional programming will become the standard programming paradigm in the future, and that :o( Smilisp :-) greatly contributes to pioneering this idea.